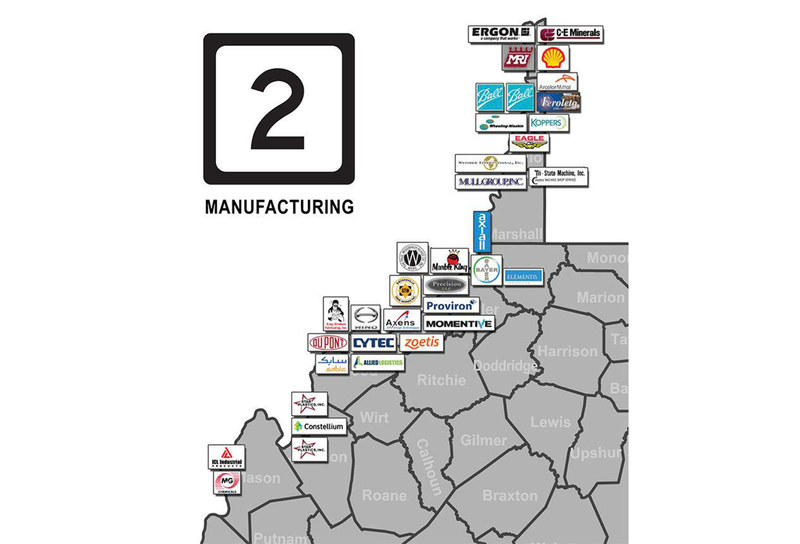 This map shows the various manufacturing companies currently located along Route 2 in West Virginia. 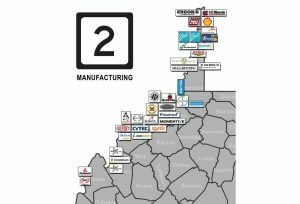 Officials with the Route 2 I-68 Authority want to help facilitate future manufacturing growth by extending I-68 and widening Route 2 in the Ohio Valley region in order to help create jobs. FAIRMONT, W.Va. – Growth of the Ohio Valley’s shale industry is leading officials in the region to raise awareness about infrastructure.